The branding behind your company lets everyone know who you are and what you do. It is what sets you apart from other companies, and gives you a sense of credibility. When someone thinks of your organization, they think of the products you produce and the services you offer. Plus, keep in mind that part of the reason a consumer may choose to purchase one of your goods may be due to your name alone. What are you doing to ensure that you are reputable and unique? This article will tell you exactly what you need to know in order to not only promote your company branding but also do it successfully. Before you begin creating an original company brand, you must know your target audience. Who are the consumers that will be using and purchasing your particular goods and services? Choosing the right demographic to target will allow you to also create items that will better sell with that particular group. What are their interests? Lifestyle habits? Even consider factors such as their income, occupation, location, age and so on. We all have our favorite food brands and for a number of reasons. Choosing them can be a matter of reliability, cost, aesthetic appeal or just familiarity. It’s likely that you reach for one brand of ketchup or mustard over another as you complete your grocery list. Brands are constantly fighting for attention creating expensive advertising campaigns, redesigning their logos and attempting to understand the millennial market. But do their efforts really pay off? How well do we even remember the logos of brands we reach for daily? In an effort to better understanding the role logos play in branding, we reached out to the people who consume them. Our study looks at eight of the most infamous food brands Americans have seen on a near daily basis since childhood. Using the original logo, we re-designed and altered them based on three simple things: color, font and design details, then tested women and men of various demographics to see what they thought was the correct option. How well do people remember the brands they love so much? Keep reading to find out how the result for three famous food brands stacked up. With over 50 uses for baking soda, Arm & Hammer is easily one of the most well-known kitchen and household items. Baking soda sold at a rapid pace when women were full-time homemakers, but as women’s role in society evolved, home baking decreased and so did Arm & Hammer’s role in the kitchen. To stay relevant, they continued to develop uses for their bicarbonate soda from toothpaste to cat litter, and with that, came changes to the logo. 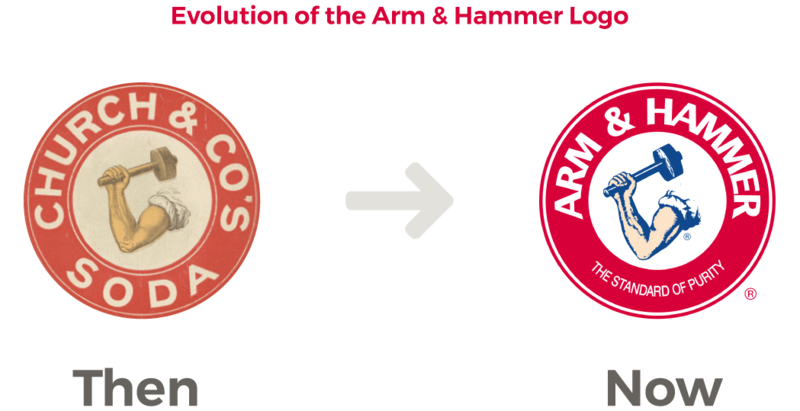 The Arm & Hammer logo has evolved to keep up with product changes and new uses for baking soda, but let’s not forget where the brand started in 1867. Below shows the difference between the logo’s start to how you now find it in the grocery aisle. 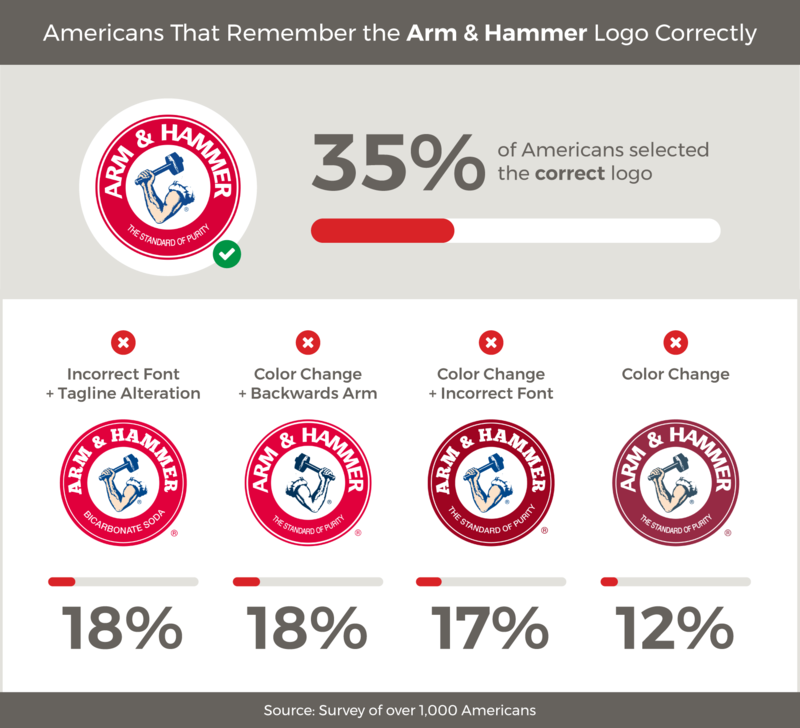 Arm & Hammer is easily recognizable for its bright red logo and muscular arm raising a hammer. This iconic American brand is well recognized, but changes in font and small design tweaks like facing the arm and the hammer in an opposite direction added variety in the responses. 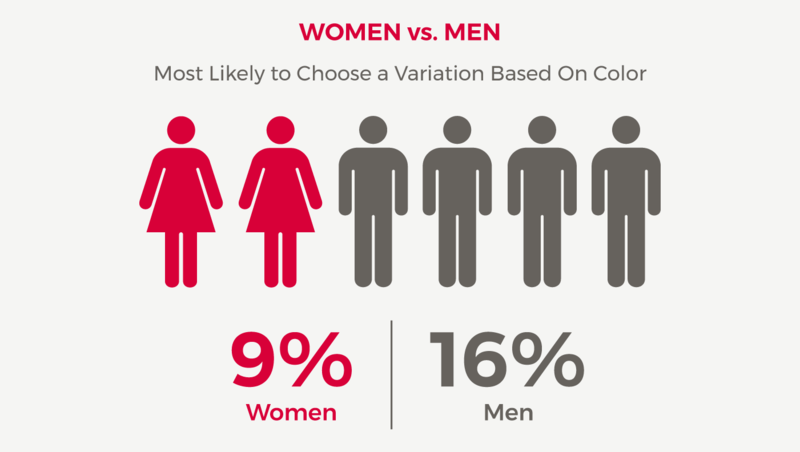 Breaking down the demographics, we found that men were more likely than women to choose a variation based on color. Additionally, surveyees ages 35 to 44 were more likely to recognize a combination of the color and font variation over other age groups. Could it be the hundreds of thousands of likes on Facebook or simply the fact that Americans have been seeing the Arm & Hammer logo floating around their kitchens since childhood that make this such a recognizable brand? With a variety of uses and strong national presence, it’s no wonder that the majority of Americans, regardless of demographic, were able to differentiate the correct logo despite the variations we presented. The phrase “Chicken of the Sea,” was first devised by fishermen as a way to describe the taste of albacore tuna. It was so successful in helping people recognize the brand that it didn’t take long to become the company name. Over the years, Chicken of the Sea has changed hands, moved shores and revamped its look, but it’s still what comes to mind when people think of canned tuna. Chicken of the Sea started with a plain text logo, but added a blonde mermaid waving her wand in 1952, which is still a consistent feature of the logo today. 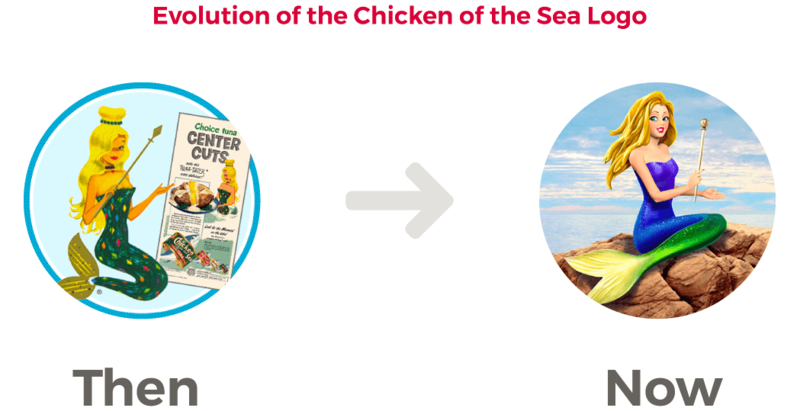 When most people think of Chicken of the Sea, she is the first image that comes to mind, which is likely what the company planned to increase brand awareness. Despite the mermaid’s new looks over the years, our respondents largely remembered her for how she appears today, with one-third of surveyees choosing the correct option. Of those individuals, 22 percent remembered the mermaid perfectly, but chose a different option in color and style of font. On average, millennials were most likely to choose the correct logo at 40 percent compared to 27 percent of Baby Boomers and older generations who chose correctly. This was especially noticeable in the male demographic, where older men chose the variations that depicted our alternative logos with changes in font, colors or design details of the mermaid. Women’s responses had less discrepancy compared to the male individuals surveyed. The graphs below show how age played a role in men’s responses and what logo details were remembered most for each age group. 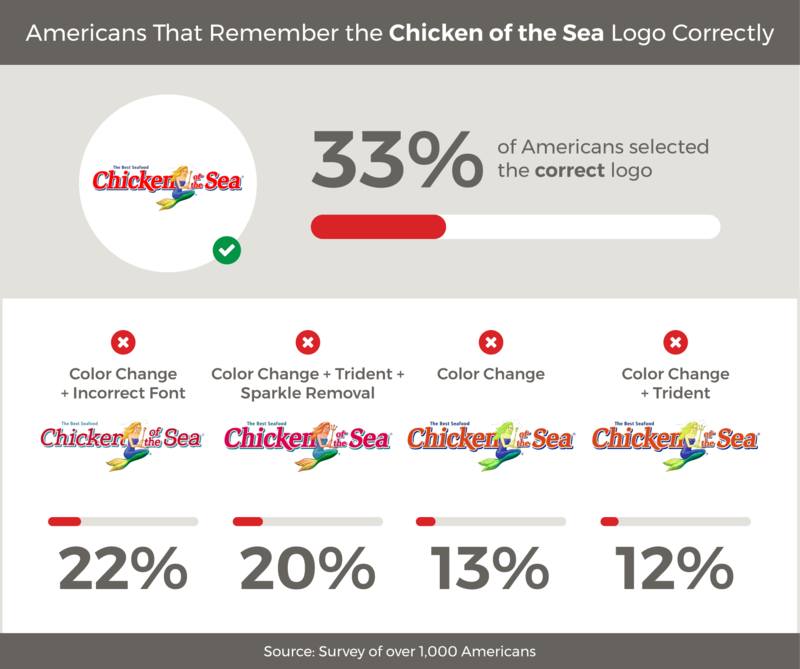 Despite so much change in appearance, the majority of Americans remember Chicken of the Sea for the friendly mermaid. Perhaps the catchy jingle “Ask any mermaid you happen to see, what’s the best tuna…Chicken of the Sea” or the “Mermaid on a Rock” commercials have made sure this brands logo doesn’t go forgotten. From applesauce to mango juice, the Tree Top brand can be found in several aisles of the grocery store and lives in the refrigerators and kitchen cabinets of just about any household with children. It has kept up with demand and redesigned its packaging to provide mom’s with a peace mind when it comes to what they slip into their kid’s lunch boxes. 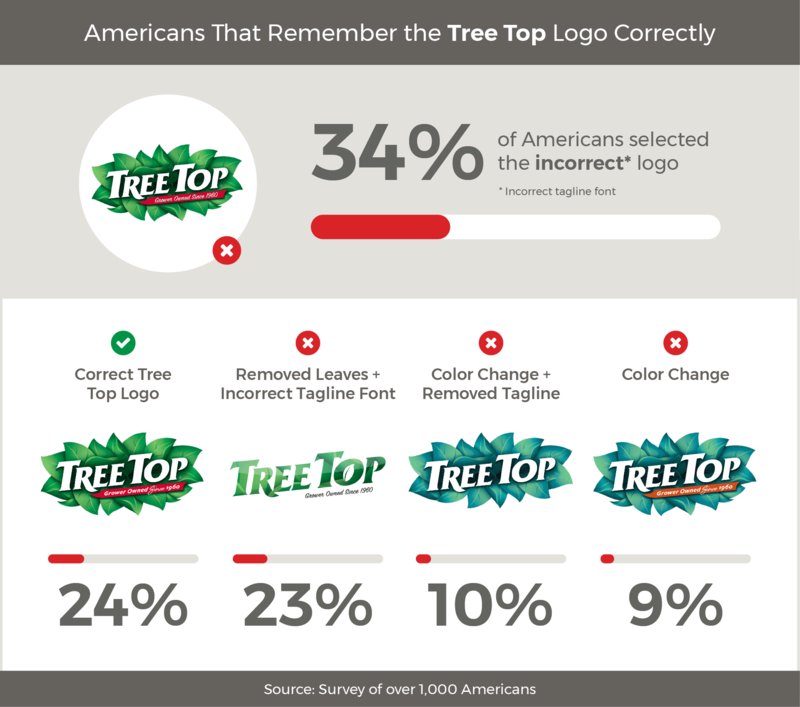 While Tree Top is a relatively new brand compared to others on this list, founded in 1960, the logo has still seen a bit of redesign over its short lifespan. Its look has included everything from a simple kids text logo, to a design that represents its grower owned roots that make consumers feel as if they purchased their apples straight from the orchard. How did this brand fare in the logo challenge? Just like the others surveyed, we were interested to find out what details were most recognizable. To our surprise, the responses varied more than the other brands with only one-fourth of the individuals surveyed choosing the logo correctly. Others recognized our variation with italicized font and the plain text logo minus its lush surroundings. While these font variations are a minor change, it was surprising to find that both women and men selected an alternative font option over the correct logo at 37 percent and 31 percent. 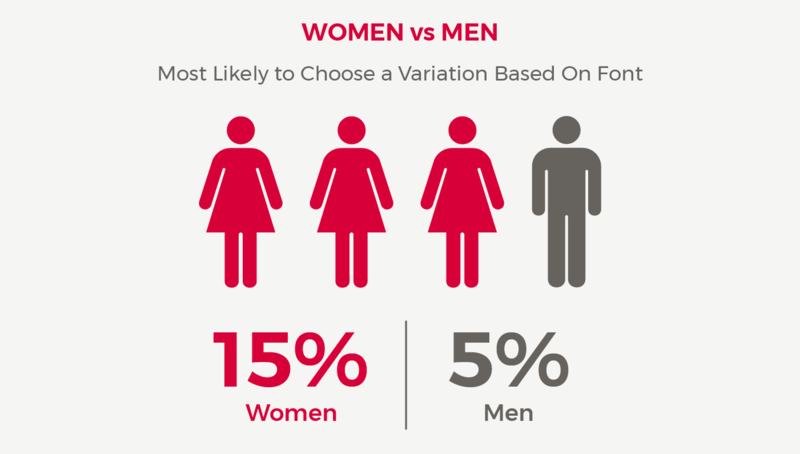 While our redesigned color version was the least recognized, the 55 to 64 age group showed interesting results where women were three times more likely to choose this version compared to men. Surveyees across the board seemed to make more mistakes with the Tree Top logo choosing our font variation first, followed by the real leafy logo and, interestingly enough, a plain text logo. Perhaps it’s the brands young age and logo evolution that plays a role in the lack of recognition. Regardless, this kitchen cabinet staple wasn’t easily remembered in our survey. To recap, does branding stick? Based on our study, this seems to be the general consensus for household brands who have built trust over the years. The results show that the majority of Americans remember brand logos despite changes in font, color and small details. Of course there are a variety of reasons certain demographics may sway otherwise. This is often the case when companies have experienced rebranding or a series of logo changes over the years. On average, millennials may have a better time recalling a logo if the brand is younger or has targeted youth in their advertising, while older demographics may remember a brand with stronger roots. 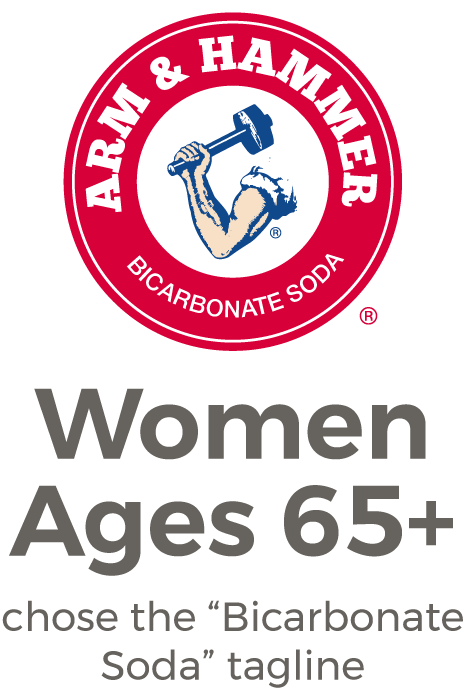 This was the case with Arm & Hammer, where women over the age of 65 remembered the brand for its bicarbonate soda product—likely because it was marketed to wives and mothers during the mid-century when more women were full-time homemakers. It’s important to remember that the way a brand positions a product can determine how it is remembered in the eyes of consumers for decades to come. When it comes to marketing, there is one particular facet of it that is leading the field today: visual storytelling. By rolling out such a campaign, you will be able to show your customers exactly what it is your business does, rather than just tell them. What’s more, you are able to capture the true essence of your business and, as a result, translate its message and goals in a far clearer fashion. In order to succeed with a visual storytelling camping and release one that is equal parts informative and intuitive, if you’ve never tried anything like this before, you’re going to need some help. Fortunately, such assistance can be found in the advice laid out below. In order to run a faultless visual storytelling campaign, you have to push the boundaries by doing something new and fresh. There isn’t anything that fits the bill more in this regards today than 3D printing. By giving this kind of printing a go, you could bring your business, its logo, and its mascot to life right before your audience’s eyes. When it comes to 3D printing, first, you need to get to grips with circuit board design. By doing so, you allow yourself complete control over each piece of media that you create, from its stage of inception right the way through to when it is released to the public. In order for your printed creation to be compelling, however, you’re going to need to use a professional design tool such as CircuitStudio. By doing so, you will have the choice of two licenses: standalone and renewal. If you choose the latter, you will have full and continued access to the highly sought after design tool known as Altium Vault. No matter when you decide to delve into the world of visual storytelling, there will be a certain trend that you will be able to hang onto the coattails of — if you’re to stand any chance of your media resonating with the audience of the day, this is exactly what you need to do. Even if it’s something as juvenile as a silly meme or gif, tap into it. That way, you will have more of a chance of your visual stories being shared via social media platforms — in this instance, having your content shared is like gold dust. You wouldn’t want to read a book that stops abruptly halfway through, and your audience aren’t going to want your story to finish in that vein either. No matter how long your stories are, whether they’re something as elaborate as a 3D printing campaign or something as simple as a social media post, there must be some point to them. They must explain everything about your message from start to finish, and they must clearly communicate what it is you are trying to say. In order to have a compelling visual storytelling campaign, you must put the above advice into practice. Small and independent businesses are at the very heart of communities, and consumers are getting more turned on to use them rather than large faceless organizations. Research has shown that for every $100 that is paid to a local business, on average $68 of that is spent in the locality; these small businesses are the backbone of local economies and help to make neighborhoods thrive. However, with competition stiff between smaller businesses and the larger corporations, it can feel like David fighting Goliath, so if you have a small business, you need to be proactive with your marketing to make your business reach its full potential. To survive in this digital world, you need to have an online presence that promotes your business to your local audience. Did you know that 80% of disposable income is spent within a 20-mile radius of home? So, to take advantage of these statistics, you need to optimize your marketing for a local audience. Google AdWords is a fantastic and free tool for identifying the keywords that local people have used to search for your industry. You can refine the area that you search for down to the local zip such is the accuracy. Use the keywords and geographical areas that you cover in your content, meta description, alt tags and even image labels. All can help to promote your business to local people searching for the goods or services that you provide. A significant influence on your website’s ranking position is the backlinks from other websites, so it makes sense that to appeal to Google’s local algorithm you have links from other local businesses. If the content that you are posting is shareable on social media groups and geared towards a local audience, you will get links from other local businesses. It can take time to forge relationships with local business owners, but it will be a great help to your business if you can. One way to speed up the process is by asking them if they can display your fliers and leaflets. You can design a mailshot that offers locals a promotion if they quote a code. This is an inexpensive way to complement your digital marketing strategy, use quality laser printer cartridges to create a professional finish, you can get them cheaper online from suppliers such as Cartridge Shop. Be sure to include your website address and contact details. Create a Google My Business profile. Google does not use the contact and address information from your website, you need to make a Google My Business profile yourself. This is vital for listing as a local business. It takes 20 minutes to register your details, but it may just be the most productive 20 minutes of your career to date. To promote your business locally, you need to be active on as many local social media platforms as you can. People often post for recommendations and advice, and the more that you engage with people, the greater that others will recall that you are the go-to business for a solution. One of the great things about the internet is that it gives smaller businesses the opportunity to level the playing field with the larger companies that have a greater access to marketing funds. However, you have the distinct advantage of being able to authentically communicate with potential clients and customers and develop meaningful relationships with other local business owners. In some respects, starting a business and becoming a freelancer is very similar. You will in both cases be self-employed and entirely responsible for the success of your venture, both primary roles for any business owner or freelancer. However, a freelancer may assume they won’t have quite the burden of responsibility entailed in starting a business, in terms of business plans, marketing strategies, and the work involved in setting up a small enterprise. This is an erroneous assumption, because marketing and planning are just as important, and you will certainly have to work hard if you wish to become established and successful in your sector. How then should a freelancer approach the task of branding and marketing themselves? In essence, rather than marketing a business, you are, as a freelancer, marketing yourself. It’s your personal abilities, attributes, skills, and knowledge that will need to be sold to potential clients rather than products, or a service with additional staff members. That means that your business plan revolves around being the best you can be as an individual, and creating a brand that separates you from all the other freelancers doing the same kind of work as you. You need to be objective about yourself, take a step away from what you think you know and be realistic about the skills you can offer. There’s no point overselling yourself because you won’t be able to live up to your promises. It’s equally inadvisable to undersell yourself, being modest or underplaying the value you can offer. Either approach will make finding and retaining good clients far more difficult. If you are honest and objective when you describe yourself, you’ll find it far easier to become established in your field. Just as a business needs a unique selling point or proposition (USP), so you need to determine what your personal USP is, and use that as the basis for your branding. For a business, a USP could be something along the lines of being the only place in town that sells organic cosmetics. As a freelancer, you need to identify what your specialty is, so if you’re a writer it could be that you have specialist knowledge of a particular topic such as health or animal care; or if you’re a programmer, it could be that you specialize in Java. Once you’ve decided where your expertise lies, you then need to personalize it to you and add something that makes your service stand out from all the other health writers or Java programmers. That could be a unique insight you have, or experience in your field, for example being a health writer who has experienced the conditions they write about, or who has worked in the health services. Clients always prefer people who can do more than just the job; they are looking for someone who can give them an edge, so by personalizing your USP you are creating a unique brand that adds authority to your offering. A lot of the resources you would use as a freelancer are the same as those a small business owner would use. Having your own website and social media accounts will give you a legitimacy with prospective clients and help get your name more well-known. Using online directories, local service publications, and websites that publish your profile and portfolio are all good ways to increase your presence and make yourself available to more people. All these marketing tools need to be kept updated, regularly checked and added to and used to showcase your talents. You need to keep a close eye on all the places you’ve posted details about yourself because anyone searching for you by name will not be impressed to find accounts of varying quality and currency on the Internet. How do you finance yourself? Freelancing is commonly far less expensive than starting up a business. You’ll have the costs of setting up and running your home office and a few fees and charges for memberships and resources. The main cost will be the reduction in income you will almost certainly experience after you first start before you begin receiving sufficient orders to match or exceed your income requirements. You can plan for this period in advance by saving for a period of time while you are still working for someone else, or you could start your freelancing venture as a side hustle while you carry on working at your day job until you’re making enough to go full time. If you are short of what you need, or want to retain some contingency funds but have to finance a new laptop, for example, credit can be a way to resolve the problem. You should have your finances in order as far as possible before committing to your new job, and that means working on improving your credit rating by following the advice given on expert websites such as Bonsai Finance. A higher credit score means you will be offered lower interest rates on loans and a wider range of deals on all credit products. Working at home as a freelancer, you will be on your own for a lot of the time. For some people, this is a far more comfortable way of working, but for others, it can be hard to be alone for so much of the time. Fortunately, there are some excellent resources online that will help you make contact with other freelancers and groups, so you become part of a homeworking community. The exchange of ideas and experience and the moral support can be invaluable in giving you the determination to keep going. You can also attend webinars and other training courses run by experienced and knowledgeable people in your field and general business topics of relevance, where you can pick up many great ideas for marketing yourself as a freelancer. You may be one person in your own home, rather than a team in an office, but the principles of planning, marketing and branding apply just as much to you as they would to a business.